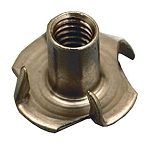 Sharp barbed T-Nut for setting into wood frames. 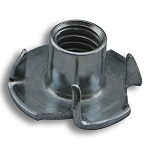 Available in 1/4" & 5/16" coarse thread bolts and screws. Makes mounting any accessories using bolts and machine screws simple and easy.